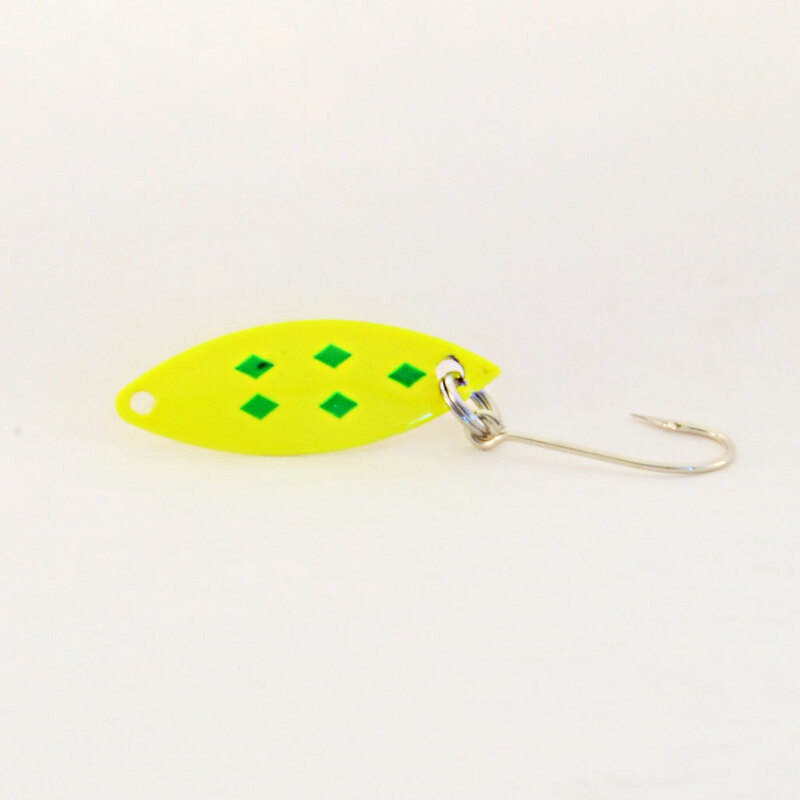 A yellow spoon shaped fishing lure that has been overlaid with a green diamond pattern. 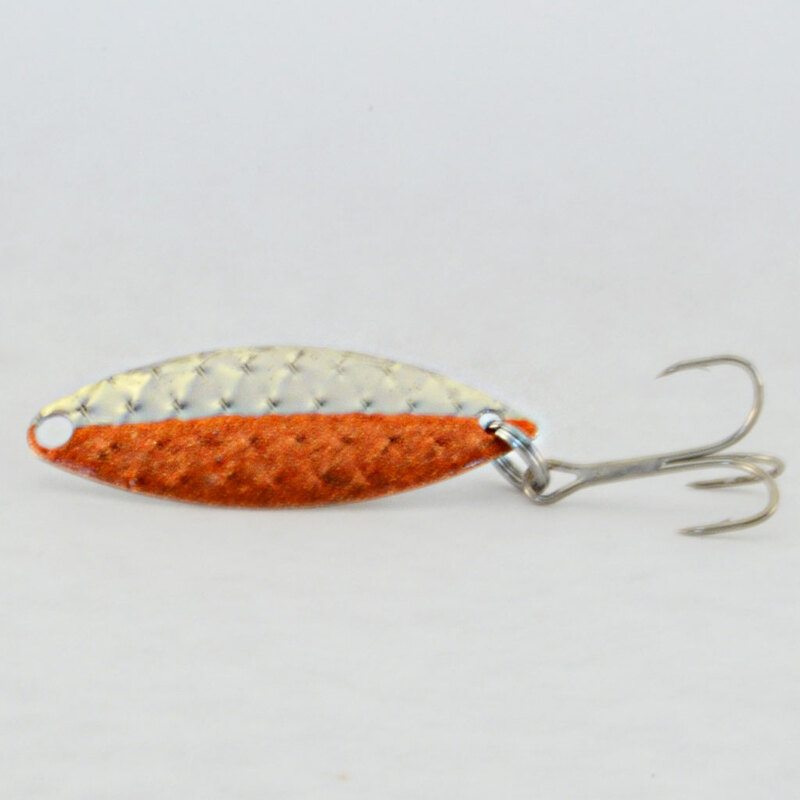 This will get the attention of most trout! 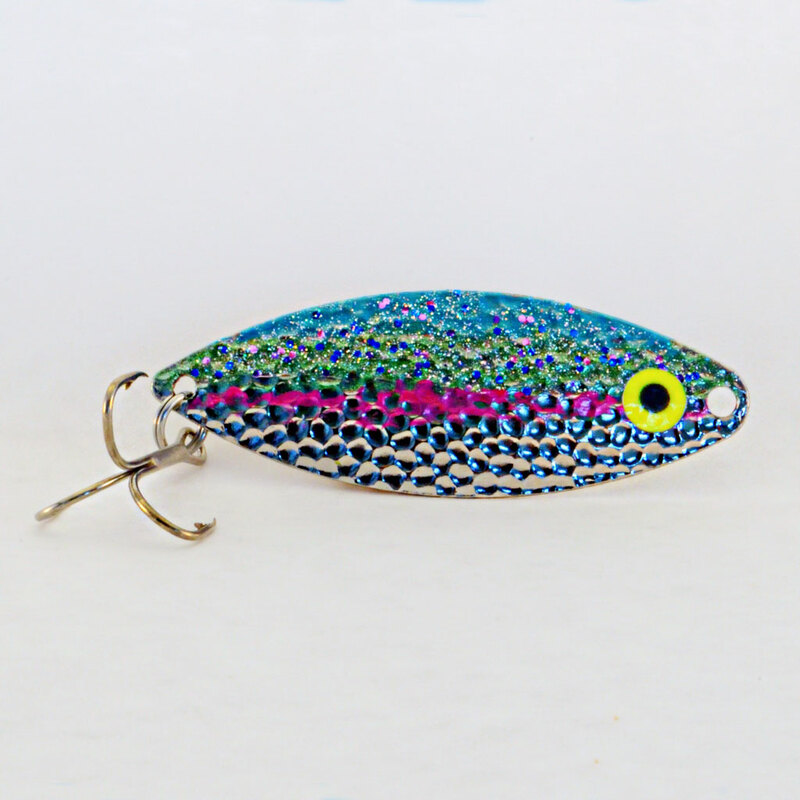 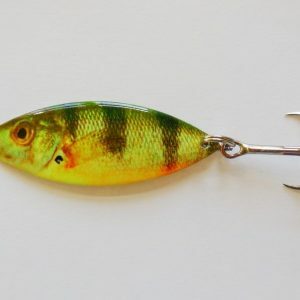 Ranked #8 Best Bass Lure by Captain Steve.